NEED A MEDIA PLAYER!!! Keeps playing whatever song I was playing last at random times, even after killing the app. Has also been doing a lot of freezing and restarting. Maybe if you had a media player.... Otherwise app is an absolute life saver. Being able to coordinate large files with others and send links in a snap is fundamental to my professional existence. My main complaint is the “recents” tab. I *REALLY* hate that there’s no way to disable or at least clear it. I use my Dropbox for a variety of files, from scanned docs to my pets photos, and sometimes opening the app to see a bunch of scanned bills when I just want to show my cat to an acquaintance can be frustrating, to say the least. BTW, the iCloud disaster should’ve reached everyone to not store nud3s in the “cloud”... 😂😂 With that said, Dropbox is useful. There’s little to discuss in this matter. BUT - and there’s always a BUT - use it with an extra layer of conscience. The “cloud” is just another person’s computer, after all. Don’t store your most private information there, especially in clear text or without any kind of cryptography. 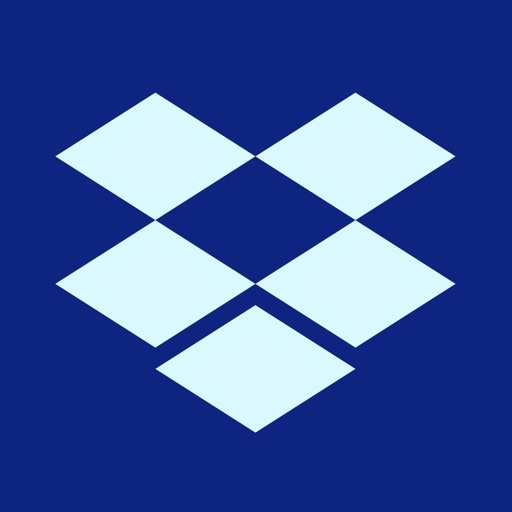 Think in-depth security, even though DropBox “promises” not to peek at your stored information, nothing really guarantees that someone will be able to access your info there. I use this app all of the time and it’s exceptionally useful. I have found no bugs so far. It’s just excellent. The features are hidden so you have to click all over to try and find what you’re looking for. Once you upload files and create a folder to put the files in, it doesn’t let you add files to folders. You have to start the whole process all over. It restricts you to only sharing once a day, but they have the system rigged to tell you that you exceded the once a day limit when you haven’t shared anything at all today. If, I’m able to share this file today, I’ll never deal with this junk again. I’ll keep using the wetransfer website. An update added comments, which take up screen real estate in my devices. I have not found a way to turn it off. The AI has deteriorated to the point that the uses has to guess the German gender of a word If you guess wrong no recourse the a few frames later same clue and same answers but previous answers wrong because they wanted the other gender. To me the crowns XP and gems do nothing and are useless. I will not use gems to buy health as this bypasses the learning in practice. The old habit of using practice to introduce new words or concepts continues. I tried using groups only to discover spent time getting right answer to get more XP‘s again bypassing learning. So dropped that. The apps AI used to allow for spelling errors but that feature has been lost. The practice section is useful but this section has a huge amount of repetition, which is a time waste to get a health. I have compared answers given in app with other translators and don’t get the apps results. I have used other translators results in app sometimes getting a correct sometimes getting a false. Therefore, not sure how much to trust the app and/or the other translator. Still sorting this issue out to determine trustworthiness of app or should it be dropped. For reference I only use the app with aids, not sure spending money for aid free buys me anything.